The city of Oquawka (population 1,539) is situated on the banks of the Mississippi River in far western Henderson County. Il. Route 164 is the main highway in town. A larger town of note in the area is Monmouth which sits 16 miles east of Oquawka. More information is being sought regarding the town's history. The residents have a long history of good education in regards to their children. Oquawka High School provided many years of solid learning and the production of good solid citizens. It was in 1914 that the first students attended classes of Oquawka Township High School. According to Marilyn Thompson Stailey, these first classes were held in the German Lutheran Church in Oquawka. It was in 1948 that the towns of Oquawka and Gladstone initiated consolidation talks. This initiative was completed and became a reality. The Gladstone / Oquawka School District was started, effectively ending the the solo educational system of Oquawka. You can learn more about Gladstone / Oquawka High School by reading their page on this site. 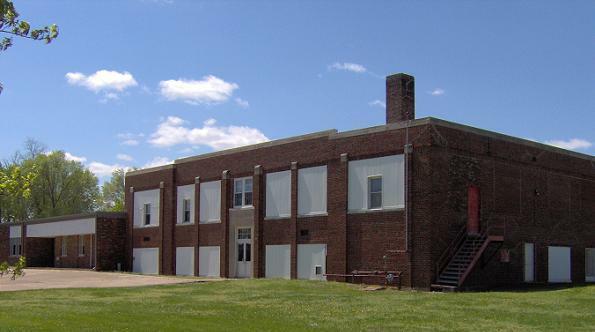 The Gladstone / Oquawka School District eventually joined a consolidation effort of all the schools in western Henderson County. 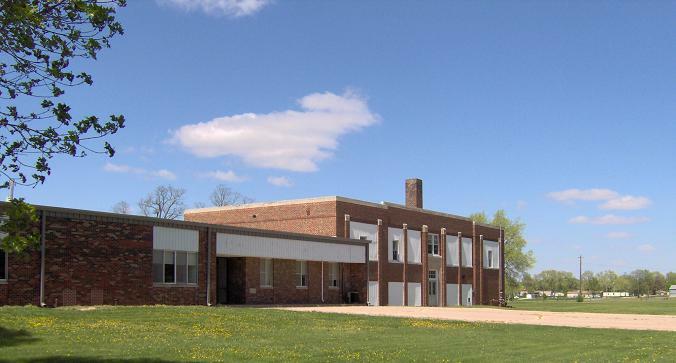 The students of Oquawka now attended school as part of the Biggsville Union School District for that school consolidated to the West Central School District also in Biggsville. School Fight Song: "On Oquawka"
Sung to the tune of ON WISCONSIN. Oquawka High School definately offered boy's basketball as part of their extra-curricular activities. We are also confident they may have offered track, baseball, and possibly football. Assistance is being asked for regarding the OHS athletic program. The Oquawka boys brought home two District titles coming in 1938 and 1947. There is no other mention of their successes on the IHSA web site. "The basketball and baseball teams were very good for such a small town. We won many games and tournaments. The school newspaper was called Wigwam Whispers. The last issue of the paper was printed for the year 1947-1948. Basketball team members of the 1946-47 District Champions included Don Meloan, Charles Ruberg, Bud Berlin, James Gillette, Charley Parsons, Hal Olson. Cheerleaders: Eileen Nolan, Ann Swann, Patty Peters, & Pauline McGraw. Coach was Carl L. Wheelock"